Fred Kummerow, a professor of comparative biosciences at the University of Illinois, continued his research for more than seven decades. Kummerow died May 31 at his home in Urbana. CHAMPAIGN, Ill. — Fred A. Kummerow, a pioneer in the study of dietary contributors to heart disease who led a decades-long crusade to remove trans fats from the food supply, died Wednesday, May 31, at his home in Urbana, Illinois. He was 102. Kummerow was a professor of comparative biosciences who maintained a laboratory at the University of Illinois at Urbana-Champaign until he was 101, often dipping into his own funds to pay the scientists who worked with him. Throughout his career, which began in the 1940s, Kummerow challenged orthodoxy in science. His dogged determination to bring to light findings that contradicted popular notions about diet and health sometimes cost him friends and research funds. He argued, for example, that dietary sources of cholesterol like meat and eggs had no influence on heart disease unless they were prepared in a manner that oxidized the cholesterol. Kummerow’s early work on heart disease led him to realize, decades before anyone else, that artificial trans fats in food were clogging arteries and interfering with blood flow dynamics. 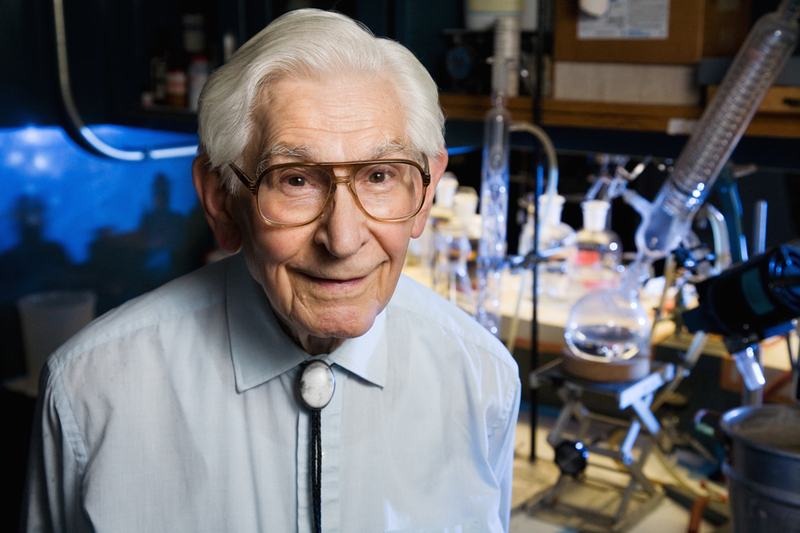 His earliest research on trans fats dates to 1957. In 2009, when he was 94, Kummerow filed a citizen’s petition with the U.S. Food and Drug Administration requesting that it “ban partially hydrogenated fat from the American diet.” His 3,000-word petition documented the science linking trans fats in food to inflammation, an increase of LDL cholesterol, a buildup of plaque and an increased risk of blood clots in the coronary arteries. “Everybody should read my petition because it will scare the hell out of them,” he said at the time. Kummerow attended the University of Wisconsin, Madison, earning a B.S. in chemistry in 1939 and a Ph.D. in biochemistry in 1943. He worked as a nutritionist at Clemson University and a professor of chemistry at Kansas State University before joining the U. of I. faculty in 1950. He began his career at Illinois in the department of food science and human nutrition, from which he retired in 1985. Unwilling to suspend his research, he joined the department of veterinary biosciences (now comparative biosciences) in 2001, a position he held until his death. Kummerow is survived by his three children, Max, Jean and Kay Kummerow; three grandchildren, Elizabeth Loban, Robert Loban and Patrick Watson; and one great-grandson, Asher Watson. The family is planning a memorial service for late summer. Watch a video about his life and work.